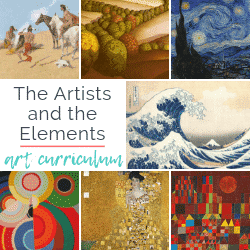 The elements of art are the building blocks for being able to talk about (and create) art. 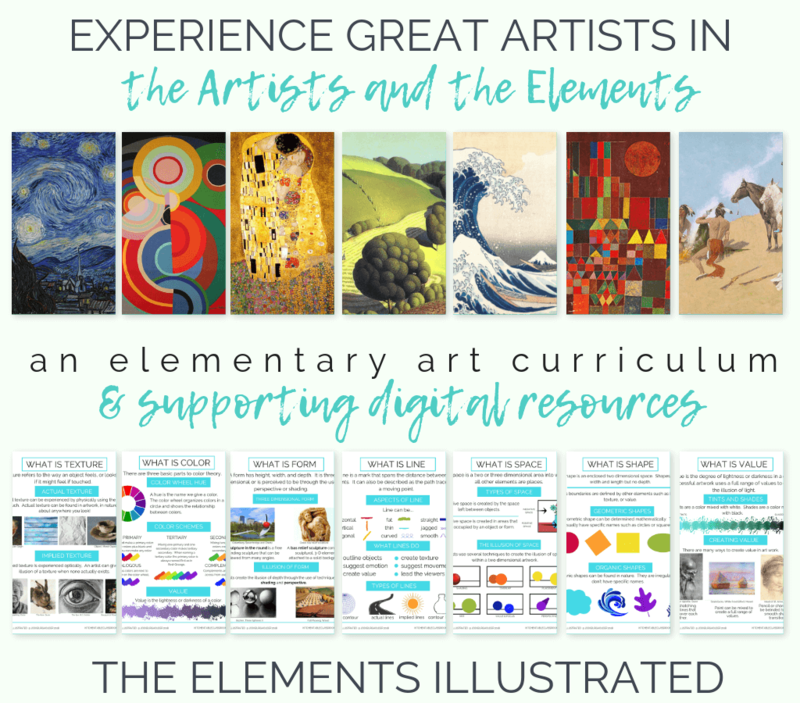 I believe the elements of art are such great building blocks for a well rounded visual education that I created a huge series of free printables to help you teach them and a full year visual arts curriculum built on the elements of art! Once my kids have an overview of what the elements of art are I like to focus on one element at a time, in a little more depth. Color is an obvious choice; who doesn’t love color? 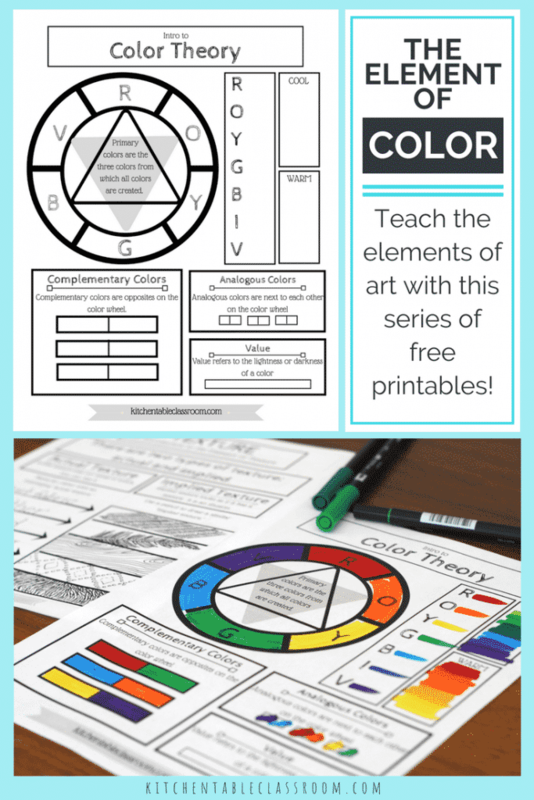 This printable provides an introduction to color theory perfect for the older elementary to middle school gang. It’s done in black and white, with plenty of space for your little people to fill in their own colors! Markers, paint, colored, pencils, or crayon- almost any media is acceptable for this color wheel printable. The following vocabulary is included; primary colors, secondary colors, warm & cool colors, analogous colors, value, and complementary colors. Definitions are all right there on your printable for easy referral and independent student work! I love introducing even my youngest artists to vocabulary like these color theory definitions. 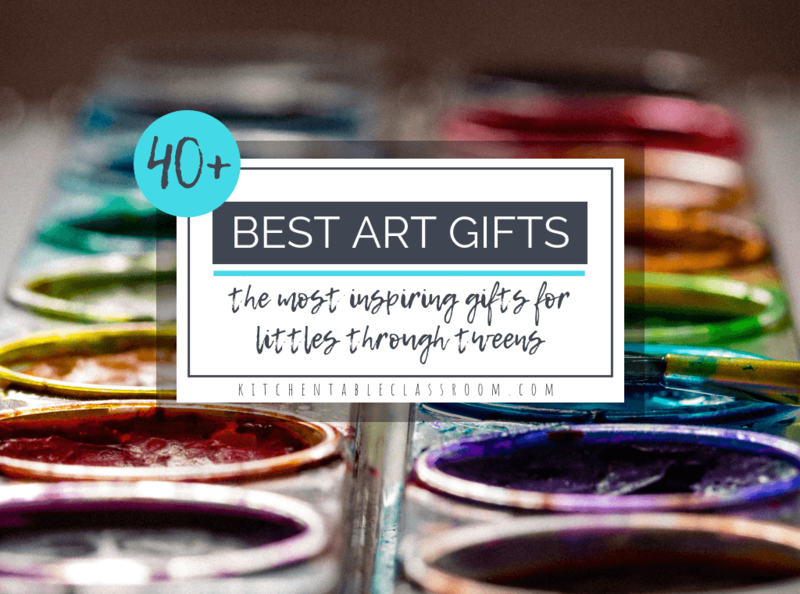 Getting kids used to talking about their artwork and the art of others makes it much easier to keep doing so as they get older! 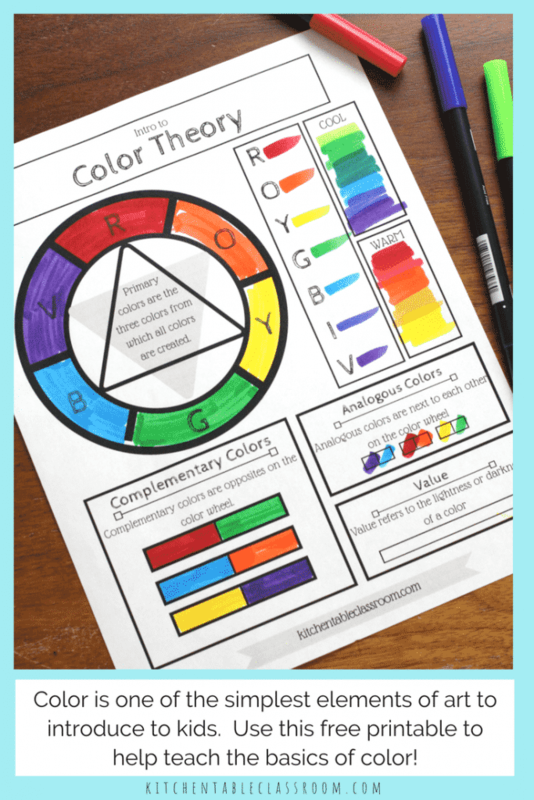 I will be using this color wheel printable (as well as my elements of art printable) as part of a book we are making at the homeschool co-op art class that I teach. 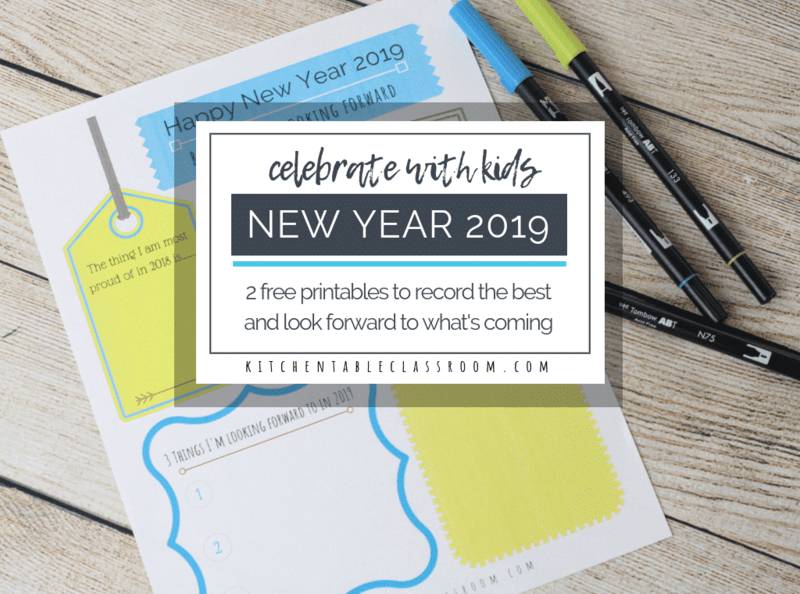 Over the course of the next few weeks I will be sharing a new element of art printable each week. Feel free to use them independently or save ’em up for a more comprehensive coverage of the elements of art! Color seems like such a simple concept. Even the youngest kids know about colors. But give your artists time to really sink in and explore the ideas of color theory. This printable color wheel is just a baby step. 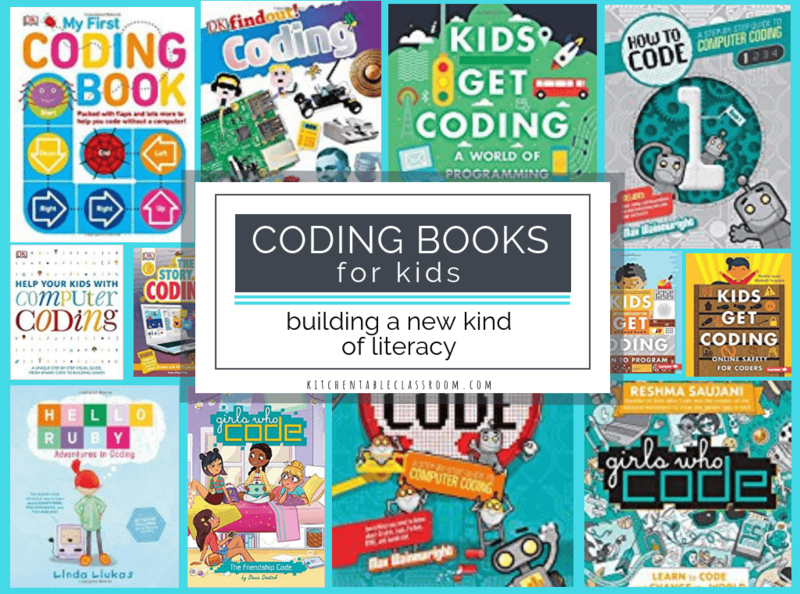 Read books about color, and explore color mixing through process art activities like this and this! Want to grab the PDF of this color wheel printable for kids…. Use the form below to become a Kitchen Table Classroom subscriber. 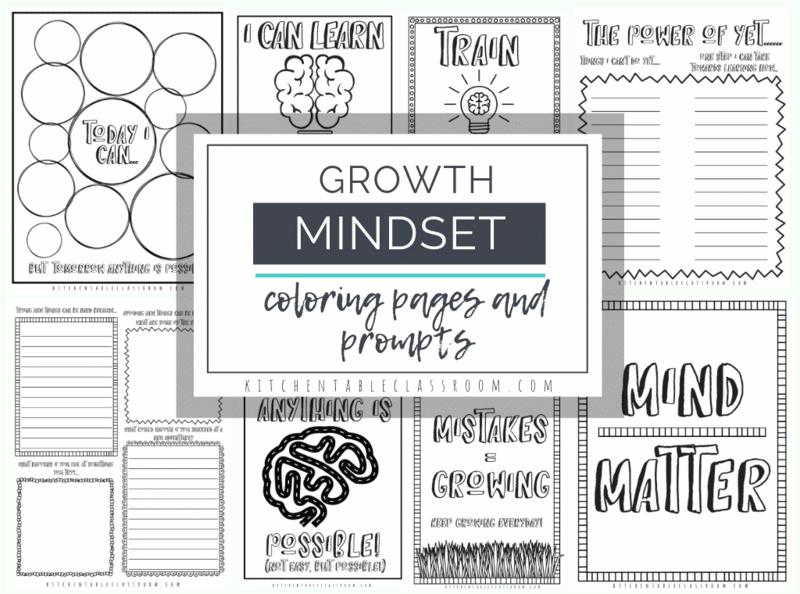 You’ll get all my newest printable resources and projects delivered to your inbox once a week! Upon confirming your subscription you’ll receive a subscriber only password that will give you access to my Resource Library. 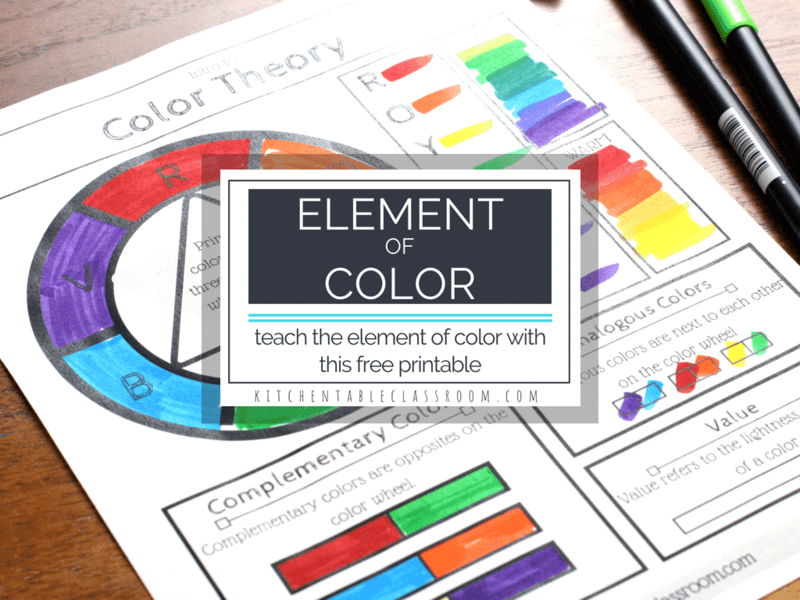 You’ll be able to access this printable color wheel in easy to print PDF form plus dozens of other printables to make teaching and learning fun! 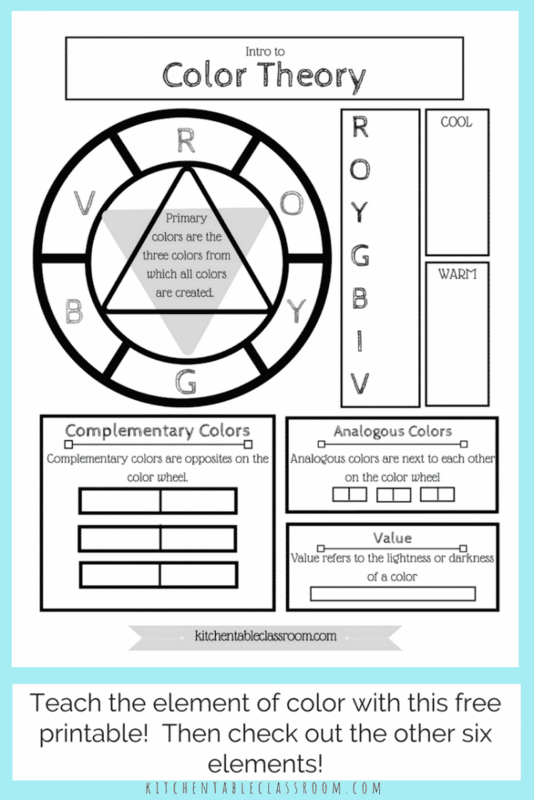 If you enjoyed this free color wheel printable I hope you’ll share it! 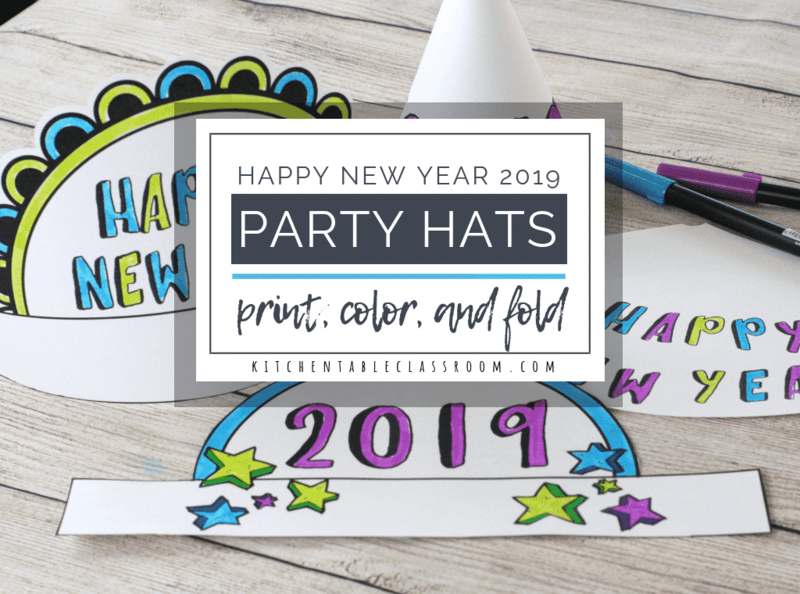 Every single share helps me to bring you more free printable resources, like this printable color wheel, and fun projects! Love this, thank you so much! Your kids must love having you as a teacher in Co-op. Thanks Jen! I have really enjoyed getting back into it too! Another great post! Thanks so much for linking up at #familyfriday we appreciate it! We hope you come back next week.